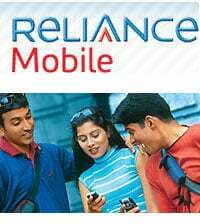 Reliance Communications today launched its GSM post paid services in Uttar Pradesh and Uttarakhand.RCOM has introduced three different rental plans for GSM subscribers. The first plan has a monthly rental of Rs 129 in which the subscriber can make all local and STD calls at Re one, while the Second plan offers a monthly rental of Rs 199, in which the subscriber gets a usage discount worth Rs 150. Moreover, the person can make free calls in his Closed User Group (CUG) and local mobile calls will be charged at 50 paise per minute with this plan.For heavy users, there is a third plan, in which the subscriber gets a full usage discount of Rs 375 on a monthly rental of Rs 375. The local calls will be charged at 50 paise per minute, while the STD calls will cost Re one per minute. Reliance Postpaid plans is not up to the expected mark, I was expecting much cheaper call rates and monthly rental .